This period is indeed a bad one for Nollywood actors and actresses as the men of the National Drug Law Enforcement Agency(NDLEA) seem to have taken an unusual but targeted interest in them over their alleged drug related offences. 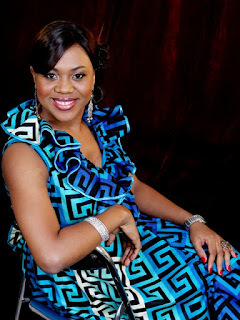 First it was Babatunde Omidina popularly known as Baba Suwe and now it is Stella Damasus. Last week Thursday,10 of November 2011,popular actress Stella Damasus was thoroughly drilled by men of the anti-drug agency over what was suspected to be an attempt by the fair complexioned actress to smuggle drugs suspected to be cocaine to Dubai. According to our source,the actress was taken into the custody of the NDLEA where she was searched thoroughly in a very rigorous pattern involving series of scans being carried out on her before she was let loose by the men of the agency. Interesting is the fact that Stella Damasus was delayed by the Drug Law Enforcers to the extent that she even missed her flight to Dubai and had to travel on another flight after she had been released. The actress later twitted” Today I regret being a Nollywood Star” on her Twitter account as friends and fans of the actress questioned her on what could have necessitated the comment. Efforts to reach the actress to comment on the issue proved abortive as at press time,as she was said to be enjoying her holiday in Dubai.